Welcome to MudThrowers! 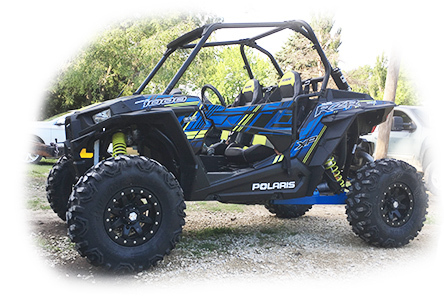 We specialize in ATV tires, wheels, and other performance accessories for your ATV and UTV vehicles. We work hard to bring you the best off road equipment in the industry. We carry a wide variety of off-road ATV tires to meet your specific riding requirements. Our full line up of ATV tires includes mud tires, trail tires, race tires and sand paddles -- perfect for any riding adventure. To complement our ATV tire line up, we have many wheels to choose from. We specialize in atv tires and wheels! Our professional staff is here to provide you personal support, both before and after your purchase. We are dedicated to bringing you great deals on great merchandise and 100% customer satisfaction. Please feel free to browse our site and thank you for visiting. For your utility ATV, we carry an extensive line of atv tires from top name brands such as ITP, Maxxis, GBC, Kenda and Interco. ITP tires include Blackwater, Mud-Lite, and Mega Mayhem. Maxxis ATV tires include the popular Maxxis Zilla and Maxxis Bighorn all-terrain tire. GBC tires include the GBC Mongrel and GBC Grim Reaper. Interco tires include Interco Swamp-Lite and Interco Reptile. Looking for serious mud? We also have the ITP Cryptid, BKT 171 and new EFX MotoHavok tires, which are some of the most aggressive mud tires on the market today. To accompany our atv mud tires, we carry a variety of atv utility wheels, including ITP and STI. Did we mention we mount together tires and wheels? Our ATV Big Wheel Kits are complete tire and wheel packages that are customized to your specific needs. The tires and wheels come mounted together, ready to roll! If you have a specific tire and wheel combination and can't find what you are looking for, just let us know and we will be happy to mount it together for you. Mud-Throwers offers FREE SHIPPING to the lower 48 states on all ATV tires and wheels!